Here you can find some of the many concerts and mainly classical musical events in and around Stirling, Scotland. 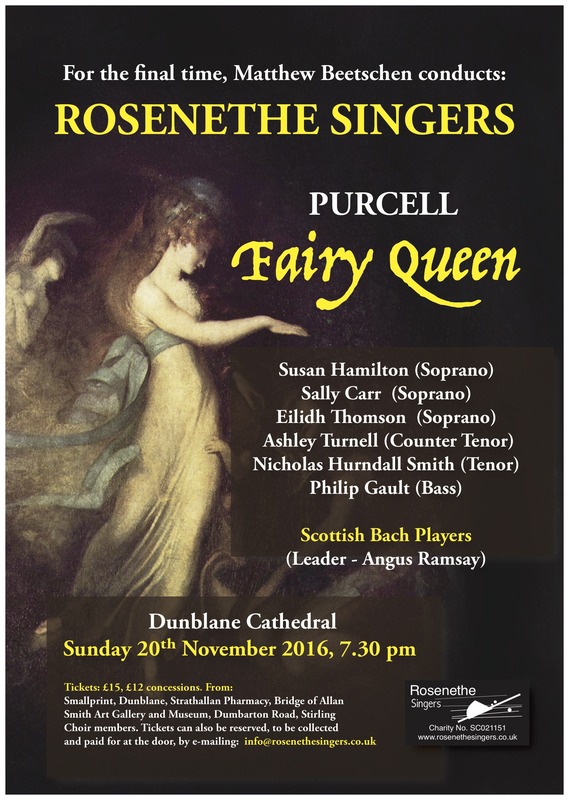 7.00pm Dunblane Chamber Orchestra Beethoven: Overture "Coriolan"
A musical based on how loving relationships overcome adversity and bring hope for the future – a setting of the biblical story of Ruth, for choir, soloists, orchestra and dance/drama. Its themes could hardly be more timely for the year 2016: a refugee is shown kindness and enduring friendship, and a foreigner unexpectedly finds love and acceptance in her adoptive country. Celebrate the 212th anniversary of the birth of our local heroine and listen to music composed by her friend – Frédéric Chopin. Nocturnes Op 27, 55 and post. Perthshire Opera are looking for chorus members of all voice types to be involved in an exciting and unique production of the opera Actéon by Charpentier. 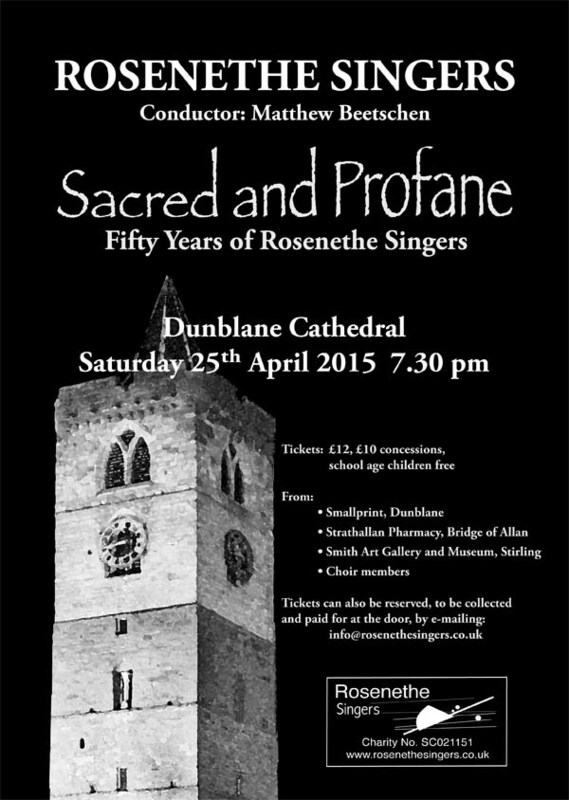 The opera has been translated into broad Scots and was premiered by Ayrshire Opera in 2014. The course will culminate with a fully staged production on Saturday 29 October. JS Bach: Variations on "Sei gegrüsset, Jesu gütig"
Chopin: "The Young for Jane Stirling"
including Madam Butterfly, Marriage of Figaro, Carmen, Barber of Seville, Rigoletto and many more. "A portrait of JS Bach"
This concert celebrates all that is extraordinary within Scotland’s rich heritage, with music through the ages, connected by the thread of history. We are lucky to be able to showcase the talents of Scotland’s finest youth orchestra, conducted by the vivacious and exceptionally talented Ross Gunning. Our concert will also feature music from Scotland’s foremost classical composer, John Maxwell Geddes, as well as a couple of fun and surprising guest appearances. Hear the talented children of the St Louis Children’s Choir who are touring Scotland with a versatile programme of music. Let's give them a warm welcome in Stirling! Organ recital on the Flentrop Organ by Adrian Lucas, RSCM Head of Choral Studies, and ex Worcester Cathedral. Adrian plays music with a Remembrance theme with music by Andriesen, Somervell, Franck, Stanley and Bach. The site was set up to help choirs, orchestras and other musicians to avoid clashing with each others' events. Only events registered with us or those we've gleaned from other sources are shown here. Go to the Venues section above to see venues' own websites for events we are unable to list at this time. Currently, the majority of events listed are from some choirs and orchestras. In due course we hope to be able to accept listings from other organisations within the Stirling area. Disclaimer: Please note that we can take no responsibility for the accuracy of this information. All details are subject to change. You should visit the organisation's website to confirm details. Purchases made from affiliate links on this site help to pay for web hosting and development costs. Thanks! MusicinStirling.org is a participant in the Amazon EU Associates Programme, an affiliate advertising programme designed to provide a means for sites to earn advertising fees by advertising and linking to Amazon.co.uk.